India’s Food Safety and Standards Authority of India (FSSAI) has directed customs authorities to keep a close watch on the quality of teas entering from Nepal and monitor for specified food safety norms on tea after the Darjeeling tea industry objected to the import of cheap Nepalese tea for domestic consumption. Darjeeling tea planters led by Sanjay Bansal, chairman, Ambootia group, raised the issue that manufactured tea being imported from Nepal was not in compliance with Food Safety and Standard Regulations and said it put the health of Indian consumers at risk. “Cheap Nepalese teas have found shelf space in most retail outlets across the country as DarjeelingNSE 0.00 % tea. This, in turn, has dampened the mood of Darjeeling planters who had over the years created a market for their teas within the country. We are expecting that the FSSAI stricture will bring down entry of cheap Nepalese teas in the Indian market,” said Binod Mohan, chairman, Darjeeling Tea Association. Darjeeling planters explained that Nepalese teas should adhere to the maximum residue limits (MRLs) for chemicals like dicofol, ethion, fenazaquin, glyphosate and others fixed by FSSAI in tea plantations. Trade sources explained that the modus operandi for Nepalese tea sellers is to appoint one dealer or agent here with a local GST number. These agents sell the tea and are paid 5% GST. Nepalese tea sellers are ready to shell out the extra cash as they get better prices for their teas in India. 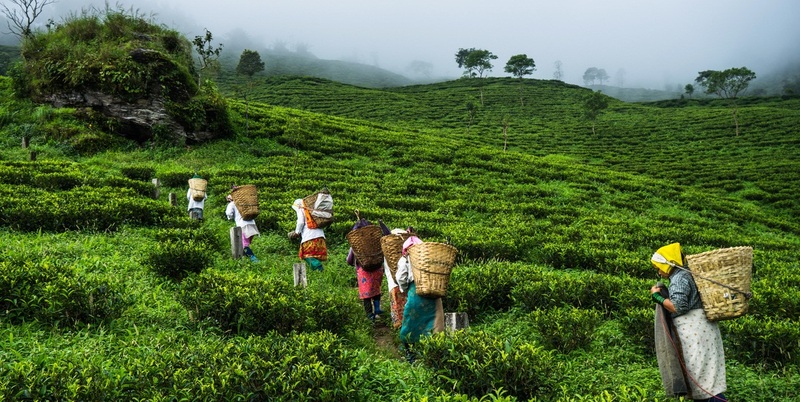 Nepalese teas started entering India in good volumes after the plantation operations in the hills came to a grinding halt for four months last year between June and September due to the strike call given by the Gorkha Janmukti Morcha. That opened doors for Nepalese teas in the Indian market and now the industry alleges that Nepalese teas are even finding ways to global markets which used to buy only Darjeeling teas. As per industry estimates, 2-2.5 million kg of Nepalese teas have entered India. India has a free trade agreement with Nepal, under which Nepalese tea does not incur any import duty in India. Tea from Nepal look similar to Darjeeling tea and even packet tea players and blenders find it difficult to tell them apart.